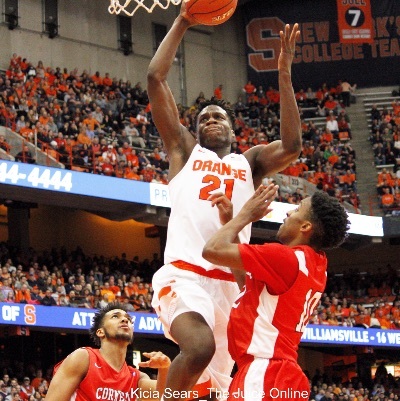 With Tyler Lydon continuing to shine, Tyus Battle solidly back in the starting lineup, and Tyler Roberson seemingly out of the doghouse, it may have been easy to brush over Taurean Thompson’s performance in Syracuse’s 80-56 win over Cornell. But that would be a mistake. The freshman forward scored 18 points on 9-15 shooting and grabbed 7 rebounds. He also showed off butterfly-esque footwork in the paint and a deft touch by making shots all over the floor. Thompson has shared his gifts with the Orange all season. Despite a brief slump in late November/early December, he has been in double-digit scoring four of the last five games, averaged 5.7 rebounds during that span, and has added some highlight blocks on defense. And it’s fun watching him. 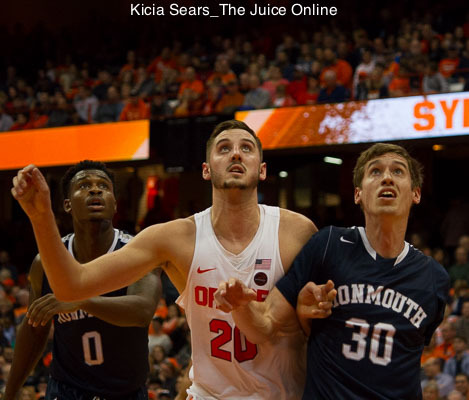 He and Tyler Lydon in particular seem to have developed a connection on the court. But it has not been a completely smooth transition to Syracuse. Thompson has struggled to adapt to the 2-3 zone; setting up late, biting too hard on the wrong plays, and getting out of position. 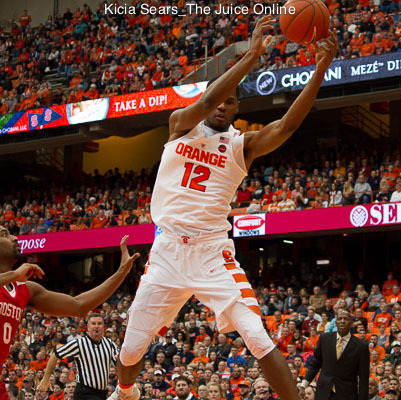 Boeheim referred to him as “lost out there” on defense. Though it was a tough self-assessment, Thompson is still confident in the team’s potential.